Greetings on this Sunday afternoon. This evening I’ll be attending a meetup here in New York City in which attendees will tell stories about their travel adventures. But I also like reliving my travels here at H-Bomb’s World Wide Karaoke! With that in mind, it’s time for another picture drawn from one of my previous trips. 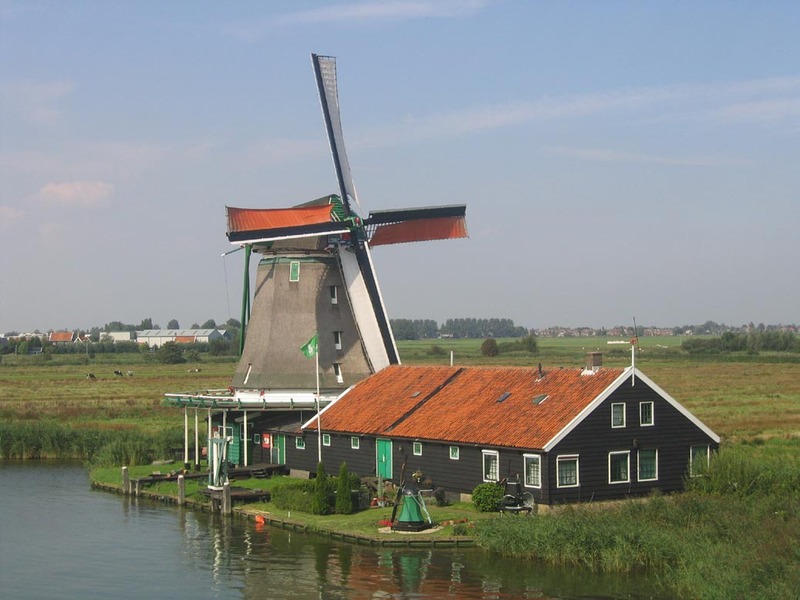 This photo was taken during my visit to the Netherlands that took place from August to September, 2004. To get this shot, I had to overcome my fear of heights and climb a nearly vertical ladder to the loft in an adjacent windmill. Has a photo opportunity ever motivated you to overcome your fears? Haha great job escaping the wooden shoe (aka “klomp”) demonstration 🙂 Lovely photo! The surroundings there is still very city like. I recommend the Kinderdijk, which is much calmer.. (See my portfolio for a photo off the Kinderdijk). @Tieme: Thank you for your kind words. If I get back to that area, I’ll have to check out the Kinderdijk! Thanks for the suggestion! You’re welcome! Have a great Sunday!